Located just outside of Mount Vernon, Washington, Dwayne Lane's Skagit Subaru is a premier Subaru dealership with a wide selection of Subaru vehicles and a fully equipped auto service center. Our auto service center boasts a comprehensive selection of Subaru maintenance and auto repair services, including certified Subaru transmission service. Arguably one of the most important parts in your vehicle, the transmission allows your Subaru vehicle to efficiently transfer power from your engine to your wheels by using hydraulics. The hydraulic fluid in your transmission, as well as its filter, are the parts of your transmission requiring routine auto maintenance. A well-maintained transmission is what allows you to seamlessly accelerate onto I-5 (only to be quickly stymied by rush hour traffic, of course). By staying on top of your transmission service needs, you can help to protect your transmission from unnecessary wear-and-tear damage, saving yourself time, money, and stress. While it's generally advised to change your transmission fluid roughly every 15,000 miles, this can vary greatly (up to 100,000+ miles for newer vehicles) and is a question that should be brought up with one of our trusted Subaru mechanics. It's important to note that transmission repairs, which can result from suboptimal transmission service, can be a very costly endeavor, so it's best to rely on the certified Subaru mechanics at Dwayne Lane's Skagit Subaru to get the job done. If you do need such transmission repairs, however, you can count on us to get the job done right. 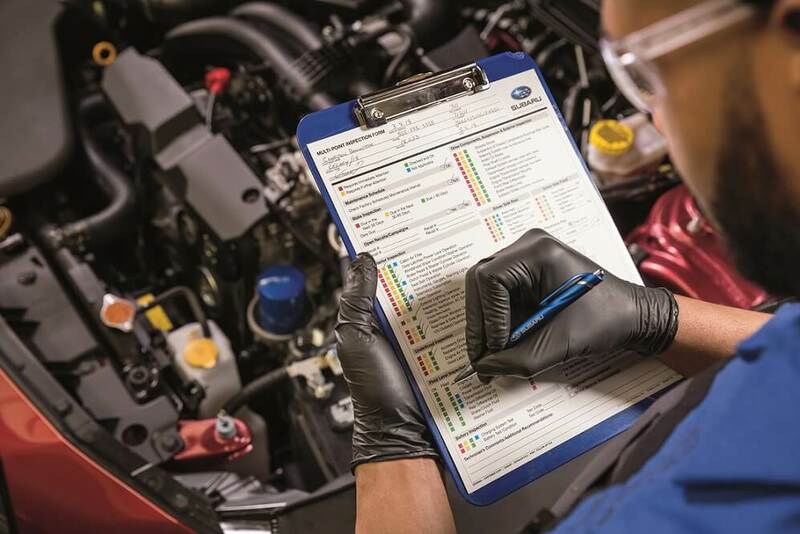 As a certified Subaru dealership, all of our mechanics are extensively trained to work on Subaru vehicles and are equipped with state-of-the-art diagnostic tools, as well as a comprehensive selection of OEM Subaru parts. With conveniences like our shuttle service and free WiFi, we go above and beyond to make your Subaru service experience as stress-free and enjoyable as possible. Come see for yourself! Why Choose Dwayne Lane's Skagit Subaru? As a certified Subaru dealership, we at Dwayne Lane's Skagit Subaru are proud to be held to a higher standard in every aspect of our business. Since 1954, Dwayne Lane's Auto Family has been committed to providing Mount Vernon, WA drivers with a truly exceptional purchase and service experience. You can count on us to treat you like family, just like we've treated all of our customers since the day we opened our doors. As our slogan says: "We'll take care of you!". Whether you've come to us for transmission service or for something else, you can have full confidence that Dwayne Lane's Skagit Subaru has your best interest at heart. In addition to our Subaru transmission service, Dwayne Lane's Skagit Subaru offers a wide selection of additional auto maintenance and Subaru repair services, including oil changes, tire rotations, engine tune-ups, brake service, car battery replacements, you name it. Our Subaru mechanics will complete their work with the utmost care and timeliness, allowing you to get back on the road quickly with your vehicle running smoothly. Book an appointment today for transmission service or other Subaru service by simply using our online scheduling tool or calling our service line. Of course, if you have any questions about our Subaru, don't hesitate to give us a ring to get in touch with an auto service expert. We hope to see you soon at our Subaru service center located just outside of Mount Vernon, WA!